His father was a classical harmonica player, his mother a radio scriptwriter and he is the godson of Vivian Vance, also known as Ethel Mertz from ‘I Love Lucy’. John Sebastian was originally a member of the Mugwumps, the band that split to become the mamas and the papas and the Lovin’ spoonful. The Spoonful became part of the American response to the British invasion with a ton of hits like ‘Do you believe in magic’, ‘Summer in the city’, ‘Daydream’, ‘Nashville Cats’ and more. John Sebastian left the Lovin’ Spoonful in 1968 to embark on a solo career…which included a memorable appearance at Woodstock in 1969. Sebastian also played harmonica with the doors on their album, “Morrison Hotel”. He is credited on the song Roadhouse blues under a pseudonym, G. Puglese. He is also credited with playing harmonica on Crosby, Stills, Nash and Young’s “Déjà Vu”. In 1976, when TV producer Alan Sachs wanted a Lovin’ Spoonful-like theme song for a new sitcom called “Kotter”, he called upon John Sebastian. Sebastian’s song was so well received that the name of the show was changed to ‘Welcome Back, Kotter’. 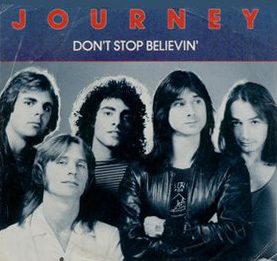 The song eventually sold over one million copies. Actually, it was fifty years ago. On Sunday, Feb. 9, 1964, over 73 million Americans gathered around television sets to see what all the excitement was about. Radio’s had been playing the music and saying “The Beatles Are Coming!” The evening news on CBS and ABC even showed films of The Beatles’ wild arrival in America at New York’s Kennedy Airport. Two days later, The Beatles made their first live appearance on American television, taking place on the country’s most popular variety program, “The Ed Sullivan Show”. The official version of how Ed Sullivan learned about The Beatles begins on Oct. 31, 1963. On that day, Sullivan and his wife were at London’s Airport. It was an unusually busy day at the airport with the prime minister due to fly out and contestants for the Miss World contest arriving in London. Despite a heavy rainstorm that day more than 1,500 kids lined the airport rooftop. Sullivan asked what all the commotion was about. He was told that it was for The Beatles, who were returning from a tour of Sweden. He replied, “Who the hell are The Beatles?” Although Sullivan would later say that he immediately inquired into booking The Beatles on his show, the true story is a bit more involved. By September 1963, The Beatles were gaining popularity in the British press. Their big break in England was a well-publicized television appearance on “Val Parnell’s Sunday Night at the London Palladium”, the British equivalent of “The Ed Sullivan Show”. The bedlam caused by the group both inside and outside the theater caught the attention of British news editors. The Daily Mirror described the hysteria as “Beatlemania!” The Beatle’s Palladium appearance was followed by the airport reception witnessed by Sullivan. The next day Beatles manager Brian Epstein was headed to New York with on of his other acts, Billy J. Kramer. The primary purpose of the visit was to promote Kramer but he also wanted to find out why The Beatles hadn’t “happened” in America yet. As he was about to leave, Brian Epstein was contacted by Ed Sullivan’s European talent coordinator Peter Prichard. Prichard wanted to get The Beatles on “The Ed Sullivan Show” and offered to negotiate a deal. Brian, however, said that he would rather handle the negotiations himself, Prichard told Brian, he would set up a meeting with Sullivan. As the plane headed for New York, Prichard called Sullivan to give him a report on the Royal Variety Show and the tremendous response The Beatles had received. He recommended that Sullivan book The Beatles for his show. Sullivan, remembering the large crowd at London Airport, was interested, but needed an angle to promote the group. Prichard told Sullivan that The Beatles were the first “long haired boys” to be invited to appear before the Queen of England. That convinced Sullivan to consider the group for his show. Brian Epstein’s appointment book indicates he met with Ed Sullivan at his suite at the Delmonico Hotel on Monday, Nov. 11. There, the two tentatively agreed that The Beatles would appear on the Feb. 9 show live from New York. They also agreed to an appearance the following week on a special remote show broadcast live from the Deauville Hotel in Miami Beach. Although Sullivan usually paid up to $10,000 for a single performance, he offered Brian $3,500 for each show. He also agreed to pay the group’s transportation and lodging. Realizing the importance of having his boys on the show, Brian agreed to the deal provided The Beatles received top billing. By the time the first show aired three months later, Sullivan eagerly promoted The Beatles as the headline act. However, Mitzi Gaynor received top billing for the second Miami Beach Show. For more stories like this and the songs behind it…go to deependradio.com and click listen live. It was the original cover shot for the Beatles album yesterday and today. But radio Dj’s were so offended that capitol recalled the album. In 1966, photographer Robert Whitaker brought the Beatles into his studio for a conceptual art shoot called “A somnambulant adventure”. 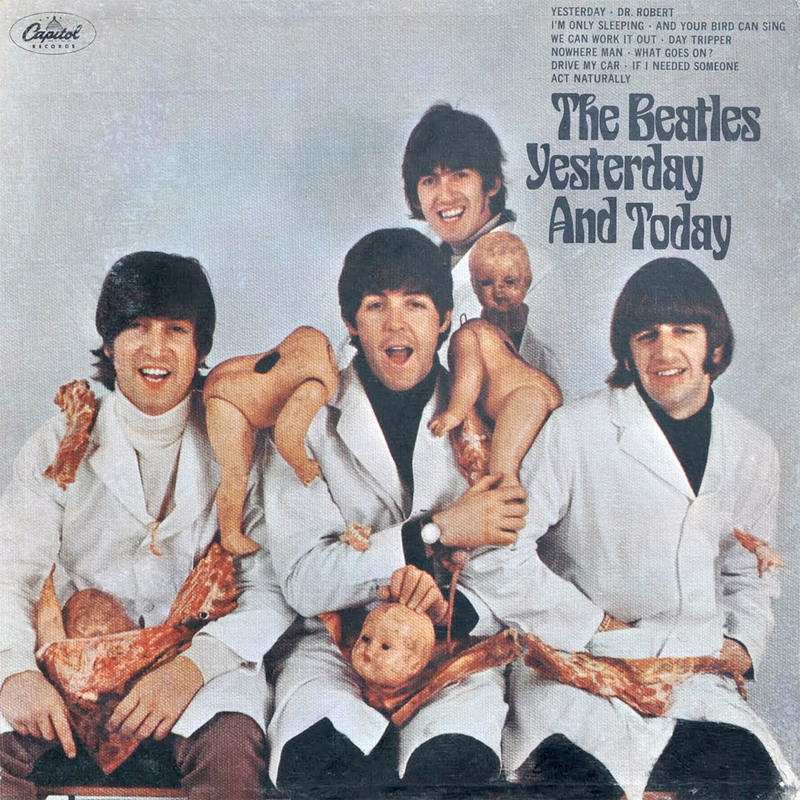 The Beatles were dressed in white smocks and covered in pieces of meat and plastic doll parts. The story goes that McCartney pushed the photo to be the cover, saying it was their view on the war. When the original cover was recalled…several printed copies were sent to landfills but there were too many. So, Capitol Records decided to paste a new cover over the old one, a picture of the fab four sitting around an open steamer trunk. Both the original butcher cover as it became known and the pasted on cover became valuable collectors items…now selling for thousands of dollars. Unless you’re a guitar player, you may have never heard of a wah wah pedal. In 1966, while rebuilding the beatles style Vox Amplifier for the Thomas Organ Company, a young electronics engineer named Brad Plunkett was creating some test equipment. In doing so, he accidentally stumbled on a circuit that made an odd “Wah” sound effect. It was similar to the sound made when trumpet players mute notes with a hand or hat. Plunkett and the other engineers were intrigued and attached an organ volume pedal. Playing a Saxophone through their new wah-wah pedal, they impressed the boss. The company created a patent called ‘foot controlled continuously variable preference circuit for musical instruments’. The pedal was marketed in the US as the ‘Cry Baby’ and other countries as the ‘Vox pedal’. Soon after it’s release, some of the most famous guitarists were quick to put it to use. 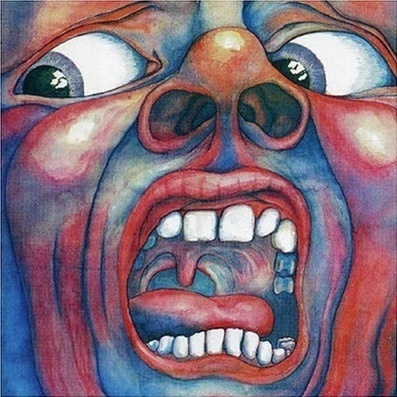 Clapton used it on tales of brave Ulysses and Jimi Hendrix used it on Burning of the midnight lamp. Today, the wah wah pedal is at the foot of nearly every electric guitar player. In 1971, Steve Cash, John Dillon, and some friends began playing together in Springfield, Missouri under the name “Family Tree” They played for small groups of friends every Wednesday night at the new bijou theater in Springfield Missouri. After a performance in Kansas city, they were told the name family tree was taken…so, they held a band naming party. It was John Dillon who came up with the full name…”cosmic corn cob and his amazing Ozark mountain daredevils”. It was shortened because none of the members wanted to become known as cosmic corn cob. They also dropped the “amazing” to avoid confusion with the amazing rhythm aces. 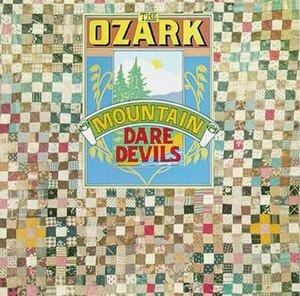 The first album, Ozark Mountain Daredevils, introduced the band’s unique sound and delivered them a hit song “If You Wanna Get to Heaven”. During the recording of their second Album, It’ll Shine When in Shines , Larry Lee was sitting at a piano playing and singing a song about a friend of his who sometimes dealt drugs on the side. Producer Glyn Johns overheard it and thought it could be a hit if the lyrics were altered to be about a girl. Lee and Steve Cash did as they were asked and the song, Jackie Blue, became the Daredevil’s signature song.